I originally started to blog about this back in July, but got sidetracked by a bunch of other things, including Dickens, so a lot has faded. As a result this, and some of the other pieces will be fairly short. Samuel Johnson and James Boswell undertook a journey to Scotland in 1773 and Johnson published A Journey to the Western Islands of Scotland two years later. Boswell published his A Journal of a Tour of the Hebrides in 1785, 12 years after the journey, and 10 years after Johnson's book. Johnson's book is more of a continuous travel book. I don't recall that there was much dialogue in it. Boswell's book, however, is his journal for that period of time, and captures the conversation of Johnson and his Scottish hosts. 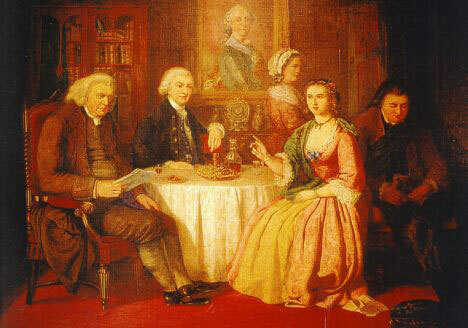 The book was done in preparation for Boswell's Life of Samuel Johnson, shares that books virtues and faults. Next up, a book about 18th century crime.